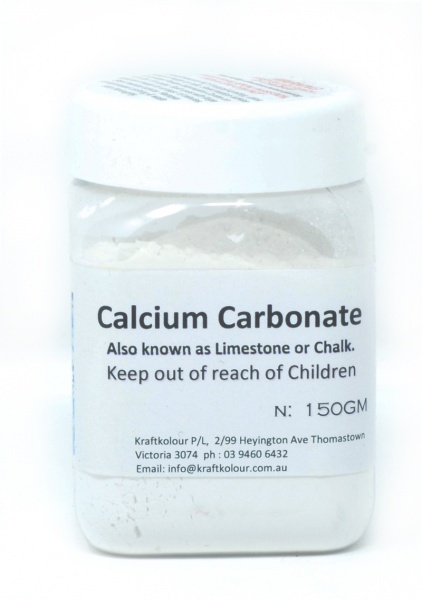 Calcium carbonate is the active ingredient in agricultural lime and is created when calcium ions in hard water react with carbonate ions to create limescale. Used as a mordant for Natural dye. Helps to increase yield or pick up of selected Natural Dyes.